Under the stiff surveillance of our ingenious experts, we are highly efficient in offering an exclusive spectrum of HDPE Pipe for Water Supply. Our products HDPE Pipe is examined on stringent quality parameters by our quality controllers to ensure a flawless range to deliver. 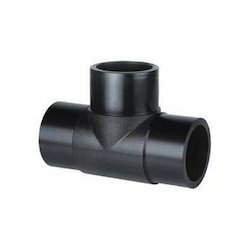 We are among the respectable firms, engaged in trading, supplying and distributingHDPE Pipe Fitting. 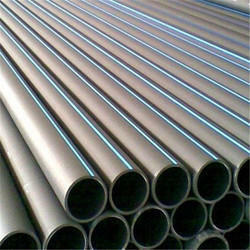 Procured from reliable vendors of the market, our pipes are made using quality mild steel and latest technology. These pipes are provided to customers in various lengths and thickness at market leading prices. Also, our quality controllers thoroughly check these pipes on various parameters to ensure flawlessness. 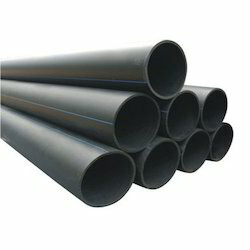 We are leading manufacturer and supplier of a very broad range of HDPE Pipes for Sewer Lines, they are manufactured under supervision of experts team. They are available in different sizes and diameters with silicon coating inside.